The final resting place for Marlon ‘Duppy Film’ Perry will be a desolate cemetery tucked away far from the limelight and notoriety that characterised his last few years of existence. Perry was buried in the cemetery of the hilly rural St Thomas district of Lloyd’s on Sunday. It took a great amount of will, as well as a brave heart, to traverse the treacherous terrain from the Lloyd’s Seventh Day Adventist Church to the cemetery. There were two routes to the cemetery, with neither being much better than the other. 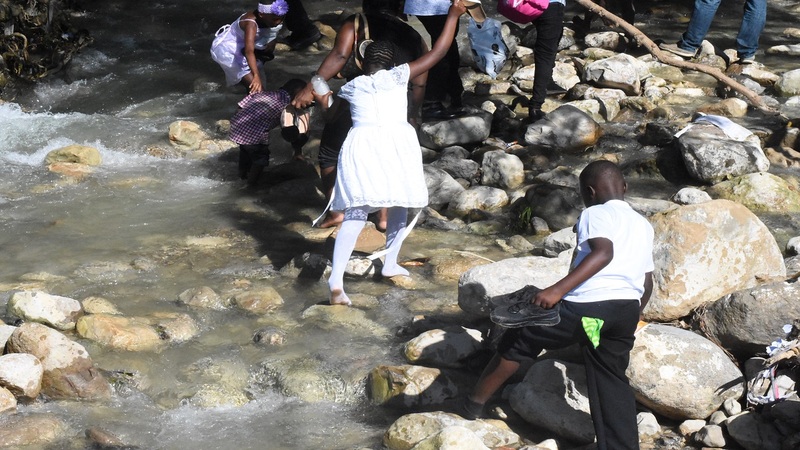 The first, with a turn-off just a few metres from the church, took the brave along a footpath that was cut through vast shrubbery, down a slippery slope and into a river. Many who took that route, took off their shoes at the river, with the women also holding up their dresses, and the men turning up their trousers, to get across the water. A climb up the hill on the other side awaited those who dared the river, to be greeted with forest-like trees, before finally getting to the cemetery. The alternative route accommodated vehicles, but the narrow pathways had mostly mud and stones underfoot, which made the journey difficult, as movements were restricted to a crawl. Also, overgrown shrubbery and branches of trees along the way, jutted into the roadway. Getting to Lloyd’s itself earlier, was also no mean feat. The turnoff from the main road at Yallahs square meant encountering an immediate incline that continued for miles up a seemingly once perfectly paved roadway, which appeared to have been left unattended by the authorities like many other roads in the parish. As for the security arrangements for Perry’s funeral, he was certainly well ‘guarded’ for the duration of the ceremony and burial. 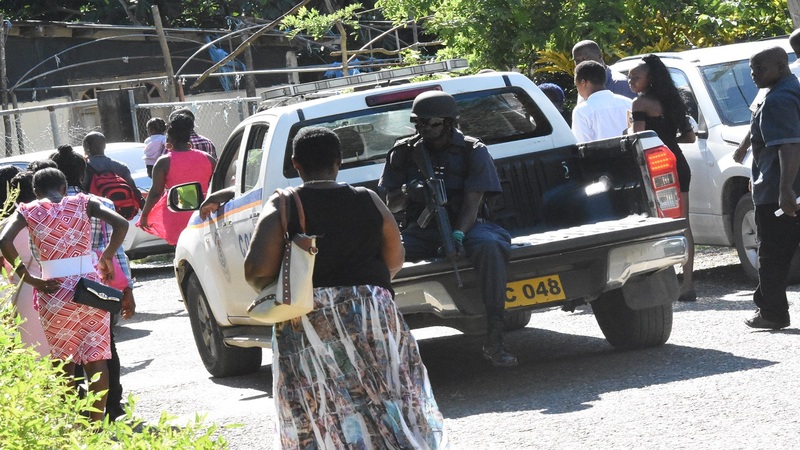 Both at the church and the cemetery, police personnel outnumbered the mourners for the man who had allegedly viciously killed members of the Jamaica Constabulary Force (JCF), which propelled him to national infamy. At the cemetery, the police lined the footpath from the river, strategically positioned with automatic rifles for any eventualities that might occur. They were also prominent along the small roadway, and at the entrance to the cemetery. According to an article on Loop, Perry was cut down in a hail of bullets by the police at a guest house in Port Morant, St Thomas on September 24, after being Jamaica’s most wanted figure for a number of years. Prior to then he had eluded all efforts to apprehend him for a string of allegations, including murders, rapes and robberies.